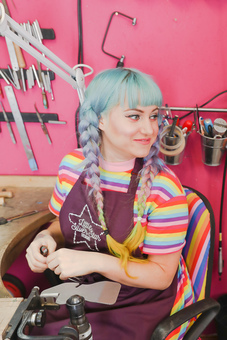 Little Silver Star Designs is the creation of Kate George who lovingly hand makes each piece of jewellery in her Bristol Workshop. 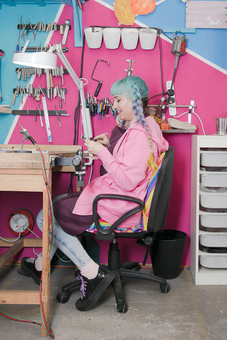 Using traditional silversmithing techniques Kate has developed a quirky and modern collection of jewellery and her signature spinner rings have developed a somewhat ‘cult’ following on social media. Kate is inspired by architecture, art, nature and even Japanese animai but her biggest inspiration is her beautiful daughter Elisa and the relationship between loved ones. ‘ I love that my jewellery lets you carry a little piece of someone forever’. 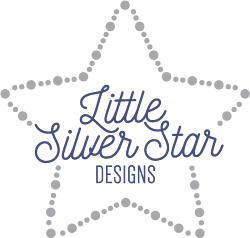 Little Silver Star also offer a bespoke jewellery service so if you have something specific in mind or just want to bounce some ideas then get in touch today and let us create you something beautiful. Hand made with love and stars. "It is one of the nicest pieces of jewellery I have ever seen, thanks to the advice and communication from the maker it also fits like a glove." "Responded really quickly to my query regarding the ring. Very helpful, even sending Pictures to help. Beautiful individual ring! I love it thank you x"
All items of jewellery sold under the Little Silver Star brand are designed and made by Kate George using traditional silver-smithing techniques. Most orders will take 14 day from payment to completion but this time can vary especially during busy times such a Christmas but we will always inform you of an estimated delivery time. Because each piece is hand made to order please expect slight variations from photos. We have made every effort to display as accurately as possible the colors of our products, however, as the actual colors you see will depend on your monitor, we cannot guarantee that your monitor's display of any color will be a true likeness. Some gemstones may have inclusions which are not a flaw in the stone but a characterstic that only adds to its individual beauty.Because of the nature of hand stamping it is impossible to get each letter perfectly straight, but we think this adds to the uniqueness of each piece and ensures that the handmade jewellery you receive is one of a kind. All un-personalised rings can be exchanged or returned free of charge. 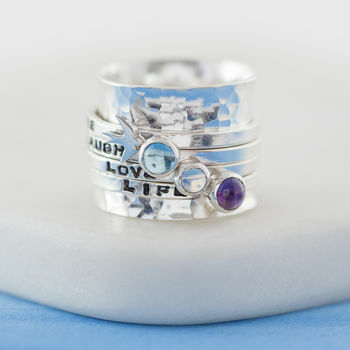 Personalised rings or commissions can be adjusted up to two sizes bigger or one size smaller. This will incur a flat charge of £40 which covers labour and return postage. Anything outside these sizes will be quoted depending on the work involved. Please get in touch before returning any rings back to us. Many of the rings we create are over 1cm and you could be up to two sizes bigger than your normal size in a wider band ring this includes stacking sets. The best and most-accurate way to find out your size is to call into a local jeweller and try on a ring of a similar width to the ring you are purchasing.